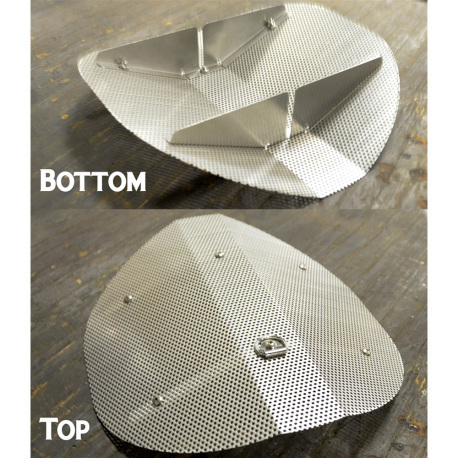 Turn your 7.5 gallon Anvil Kettle into a mash tun with this perforated False Bottom! This perforated False Bottom is what you'll need to convert the 7.5 gallon Anvil Brew Kettle into an all-grain mash tun. It's made of heavy 18 gauge perforated 304 stainless steel, and includes supports. Made proudly in the USA! Take your brewing to the next level by using your Anvil kettle as a mash tun with this false bottom! The Anvil line of products, is a premier line of brewing equipment, designed and built by the geniuses at Blichmann Engineering, with help and inspiration from John Palmer! The entire suite of products work in unison to provide a perfect brewing experience from day one, and at a great value to you the homebrewer. You can rest comfortably knowing that Anvil equipment is backed by two of the biggest names in the homebrew industry. 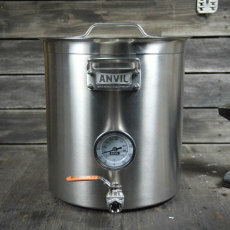 Anvil Brewing Equipment: Inspired by Palmer, Built by Blichmann, and Made for You!